Your brand identity is what keeps customers coming back. Social media has changed the game in every aspect of business, but none so much as marketing. Billions of people (3.17 billion to be a little more precise) use the internet and nearly two-thirds of them use social media. Most retail brands embrace this, with over 90% of them using up to 5 social media channels to reach existing and new customers. This means that the average person sees more ads per day than they can reasonably pay attention to. So how can your ads and your brand stand out in the midst of all this social media noise? No, not the scary tax related kind, conduct a brand audit of your company and competitor analysis to see where you stand. This starts with identifying who your target customer is and then what aspects of your brand, product, or service they actually see and notice. Use this investigation to uncover what aspects of your company drive growth and what could drive more growth in the future. Your competitor analysis will also help your understanding of what drives growth and sales in your industry. The core philosophies of your company are going to be the main thing that drives a successful branding strategy. Your mission statement and your company values are going to play a huge role in this. You want your brand to reflect those values and convey them to your customer base. This will be carried through your messaging statements. Once you have the soul of your brand in place, you can focus on the look and feel, and the voice that will carry that brand message out through the social media channels you use and in other marketing and signage. This includes the overall style of your brand, but also the smaller details like color, logo, and even font choice. You need to choose elements that are true to your philosophy but will also resonate with your target audience. 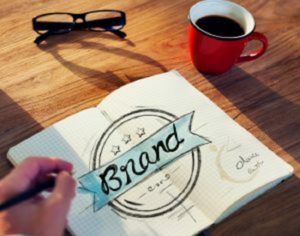 Brand identity is built over time, but it starts with strategies to build brand awareness and then increase and maintain customer loyalty. Make sure that all of your marketing is in line. You don’t want your social media to have a different feel or tone from your vehicle wraps or your print ads because then you seem inconsistent. This is not a one-time process. As your business grows and changes, keep investigating the effectiveness of your brand and marketing and change it as needed. If your brand doesn’t grow with your company, you will quickly outgrow it. Exceptional customer service, the latest technology, attention to detail, quality products, competitive pricing has proven to be our greatest asset. Follow us on Facebook! This entry was posted on Friday, January 18th, 2019 at 5:39 pm. Both comments and pings are currently closed.